Bloomsbury Academic will publish my next book Software Takes Command in July 2013. Below is their final design for the book cover. The background image is a close-up of a visualization created in my lab by my PhD student and USC Video Game program faculty member William Huber. 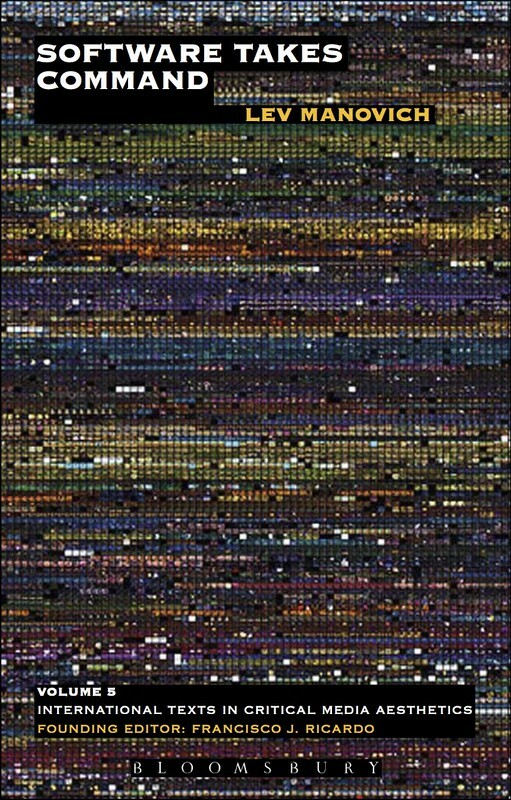 The visualization condenses 62.5 hours of video gameplay into a single image consisting from 22.500 sampled frames. You can download the full resolution visualization (10,800 x 8000 pixels) from our Flickr gallery.